This group of Hectors tree daisy are a remnant of a very rare species (estimated 4500 specimens over 90 locations in the South Island) and appear to be very old (600yrs+?). The largest known population occurs in Marlborough's Clarence catchment, where approximately 2000 plants are known. The tallest in this group are about 10 meters high. 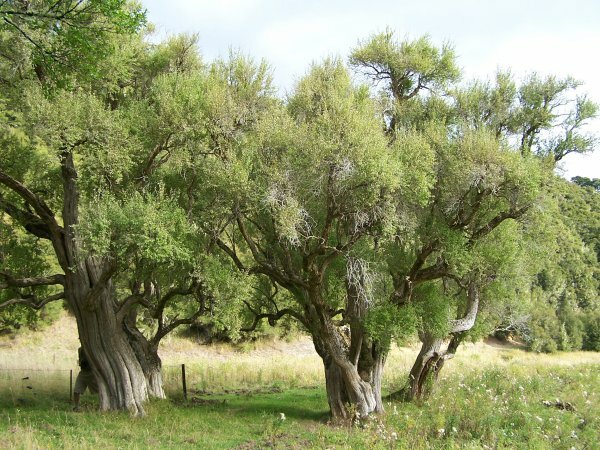 O. hectorii are are deciduous and have small yellow flowers in spring. The Dept. of Conservation advise that the trees are generally found on the forest margins in the high country near streams and appear to favour open sites that are either, or were, canopy gaps in the forest and stream banks. 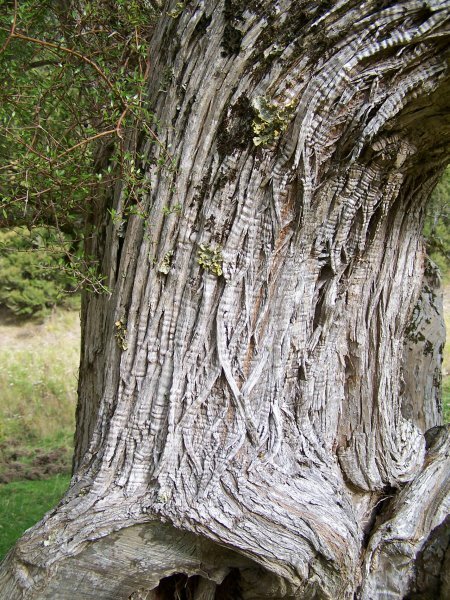 Their bark is unusual and reminiscent of old cork or olive trees (Bade, 2015). 05 Feb 2015 Bade, I.P.S. Located on the margin of Zoo swamp at the head of Nidd Stream a tributary of the Clarence River. 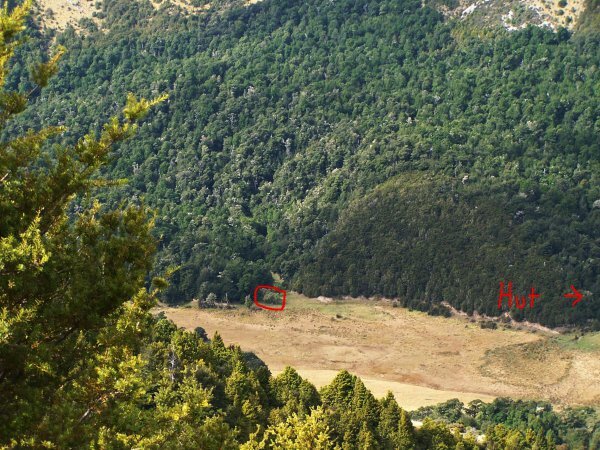 The stand is approximately 400 metres (10 minutes) walk from Zoo Hut.